Gabriel Thompson is a journalist and author in Oakland. 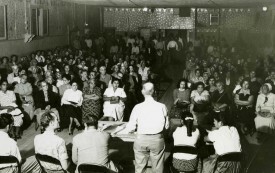 He is the author of America’s Social Arsonist: Fred Ross and Grassroots Organizing in the Twentieth Century (University of California Press), Working in the Shadows (Nation Books), and There’s No José Here (Nation Books). His most recent book is Chasing the Harvest, an oral history collection from California’s fields. 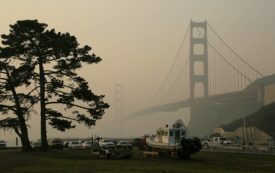 As Toxic Smoke Blankets California, Who Has the Ability to Escape? While the wealthy can flee toward cleaner air, the poorest have no choice but to stay put. 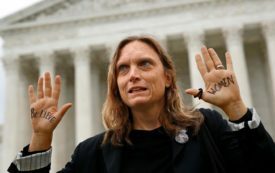 Meet the progressive strike force that saved the ACA—and almost brought down Brett Kavanaugh. 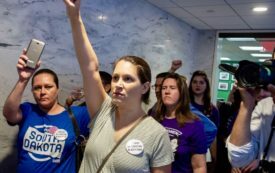 After occupying Senator Chuck Grassley’s office last week, activists vow to keep the uprising going. In 1952, Fred Ross appeared at Chavez’s door. The meeting changed Chavez’s life—and farmworker history. 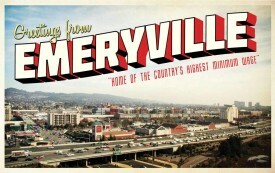 In July, Emeryville, California, passed the highest city-wide minimum wage in the country. Here’s how workers’ lives changed—and didn’t. In the neighborhood where Cesar Chavez got his start, janitors, cooks and shuttle drivers are organizing to end the area’s inequality epidemic. 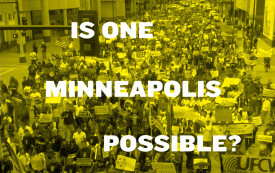 Minneapolis Has Long Been Fractured by Racial Inequity. Can a New Mayor Change That? Mayor Betsy Hodges wants to make Minneapolis live up to its progressive hype. 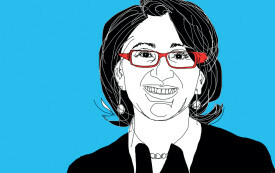 Will a Latina Labor Lawyer Replace a Tea Party Congressman in California? First, the EMILY’s List-backed Eloise Reyes has to get through the primary. 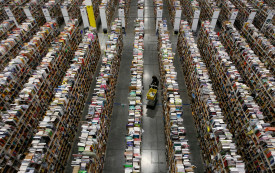 My life as a temp in California’s Inland Empire, the belly of the online shopping beast. Young farm workers are falling ill from “green tobacco sickness” while the industry denies it and government lets it happen.